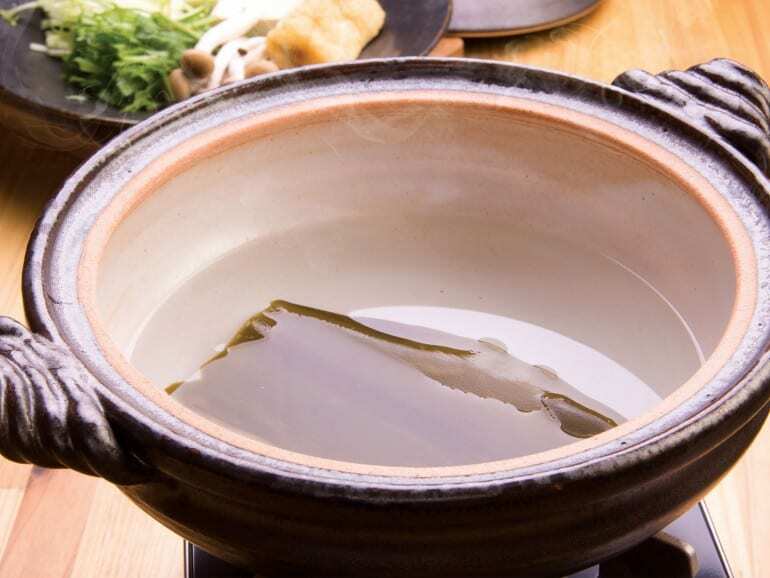 The most basic form of Japanese stock, kombu dashi is where you should start honing your dashi-making skills. Kombu is a kind of kelp thatfs found in shallow ocean waters. To make it, start by first wiping the kombu clean. Avoid washing it as doing so may remove some of the substances that will give your stock its distinctive umami. Next, soak it in a deep pot of water for about half an hour before turning on low heat. Skim the surface occasionally. Turn off the heat and remove the kombu before it comes to a boil. The reason youfre advised not to leave the kombu in the stock is becaues it will cause the stock to become cloudy and to lose some of its flavour. The softened kombu can and should be eaten as itfs a great source of dietary fibre. Kombu is more commonly used in Hakkaido for dashi, while katsuo-bushi and niboshi are used in Kochi and Shizuoka respectively. The versatile stock can be used in variety of dishes – particularly fish dishes – because of its subtle, yet distinctive oceanic flavour. It can also be used in vegetarian or vegan dishes and, best of all, kombu is a 100 percent renewable resource – it regrows from the root after being harvested. Kombu dashi can be kept in the fridge for up to a week, and up to three weeks if frozen.